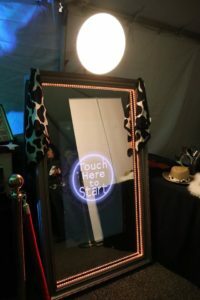 What to expect when taking DJ or Photo Booth gear to the HLSR Cook Off! So you are booked for the HLSR Rodeo cook off and want to know what to expect? Be prepared ahead of time. On the first day, you will have to arrive early. 7am to noon is the window that you will have to arrive, get a pass and travel to the right HLSR gate to enter the tent area unload and leave. It is all but impossible to get anything out afterwards that you cant carry or pull by hand. However, you can drive back in the next morning with or without a trailer. The next two days, Friday and Saturday, have a window of 7am to 11am (times subject to change). This is when you can pick up or drop off additional items. On the final day, when you are done, it gets a bit tricky. BOOK US FOR YOUR TENT OR EVENT! Again, if you can carry it or pull it by hand, you can leave right after the event. Otherwise, you must wait until approximately 4am Sunday morning to drive in with or without a trailer to retrieve the rest of your gear. Word of advice, if you plan to leave anything overnight at the HLSR as many do, be sure to bring a tarp large enough to cover your gear. Also, bring bungee cords to secure the tarp. Out of sight, out of mind. There will be police officers there all night, but if it’s stolen, it’s your loss. Also, do not leave anything on the ground that water can damage. Neighboring tents dump their ice chests and water runs all over the place and if you are familiar with “Rodeo Season” in Houston, TX, then you know it’s likely to rain a bit. We are happy to announce that our first event was completely successful albeit difficult. What better way to dive in to a new venture than a three day event at the Houston Livestock Show And Rodeo BBQ Cook Off? Everyone at the HLSR cook off was amazed with the photo booth! Check out our face book fan page for more photos! We worked the SGS tent. I must say, it was a difficult event to complete. Load in early in the mornings and load out after the last day happened at 4:00am. It was wet and dark.. If you find yourself being booked at this event, be sure to have a plan of action and do not cut yourself short on your fee or you will regret it. This event deserves a nice PITA fee. We hosted the DJ on the second night of the event alongside the photo booth. This was a Friday night and was by far the busiest night of the three. We kept the dance floor packed! What a great night! We are pumped for this event in 2019! !